elemeni Face & Neck Lifting Serum complements the performance of elemeni Radiance Face Cream by delivering a synergistic boost with a greater concentration of anti-aging nutrients to supercharge your results. 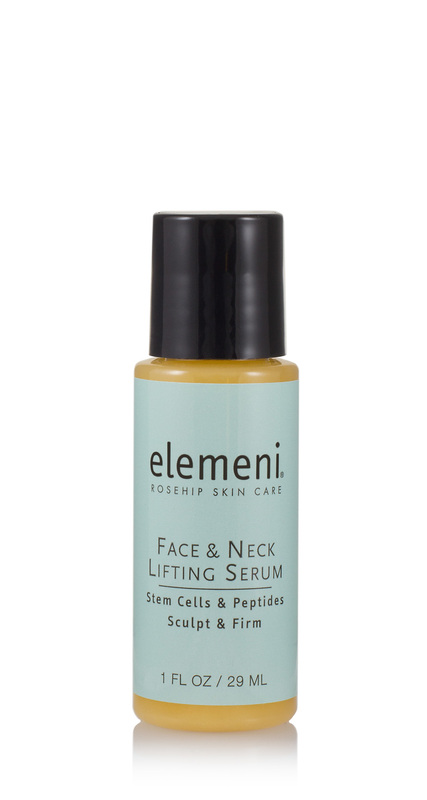 This lightweight serum delivers extra potency of powerful stem cells and superfood peptides with anti-aging superstars alpha lipoic acid, DMAE, vitamin C and hyaluronic acid - it’s like a botanical lift from within leading to refined, firmer and sculpted skin with continued use. Alpha Lipoic Acid - the universal anti-oxidant fights free radicals with cellular rejuvenation to erase age related skin issues like photo damage, fine lines, wrinkles and loss of elasticity. It’s anti-inflammatory ability also helps to even skin tone and shrink pores. DMAE - firms the skin, reduces lipofuscin deposits and stabilizes skin membranes, thus reducing lines and wrinkles, improving tone and radiance. Vitamin C - (aminopropyl ascorbyl phosphate) is a new and improved highly stable and efficacious derivative of vitamin C that outperforms traditional variations in stimulating collagen synthesis and hence reducing wrinkles. It’s also very effective at reducing melanin production thereby lessening age spots and hyper-pigmentation. High Molecular Weight Hyaluronic Acid - provides immediate skin revival upon application by lubricating and helping to bind water to the skin for excellent hydration, elasticity and freshness. Ultra Low Molecular Weight Hyaluronic Acid - readily absorbs into the skin to bind moisture and nourish from inside, building collagen and elastin over time. Sodium PCA - part of natural moisturizing factor (NMF), it’s a powerful humectant that binds water to the cells to keep skin hydrated. Betaine - from gmo-free sugar beets is a key amino acid with molecular properties that allow it to balance the hydration of skin while protecting it’s protein from damage. It can (temporarily) decrease the depth of wrinkles, so what’s not to like? Organic Rosehip CO2 Extract - a modern cold and clean extraction method that encompasses 100% of the phytonutrients of the hip. 3X Concentration of Orange Stem Cells - truly an amazing modern rejuvenating discovery found in edible table variety oranges (Citrus sinensis), stem cells from oranges have been shown to redensify the dermis structure by building collagen and elastin, improve the skin's extracellular matrix structure, improve skin's elasticity and to recover the quality of younger skin and a better complexion. Perhaps best of all this is a natural, sustainable and environmentally-responsible anti-aging material. 2X Concentration of Sacha Inchi Superfood Peptides - a modern discovery shown to significantly upregulate Connective Growth Factor (CTGF) and Human Longevity Master Switch Gene (FOXO3), and over time it is capable of an amazing restructuring effect of reshaping and anti-sagginess to the jawline while also re-densifing the dermis. MSM - is a naturally occurring organosulfur used topically to boost the body’s ability to produce skin collagen (which provides elasticity). The body’s ability to produce collagen diminishes in adulthood which is why we start to sag and wrinkle as we get older. MSM provides a collagen boost to help retain youthful resilience. MSM has also been shown to have a positive effect on the smoothness of skin. Juniper Berry Essential Oil - promotes blood circulation and detoxification to improve the skin’s radiance. It has a relaxing aroma. Rose Geranium Essential Oil - valuable for its skin tightening effect therby minimizing the appearance of wrinkles with an uplifting aroma. 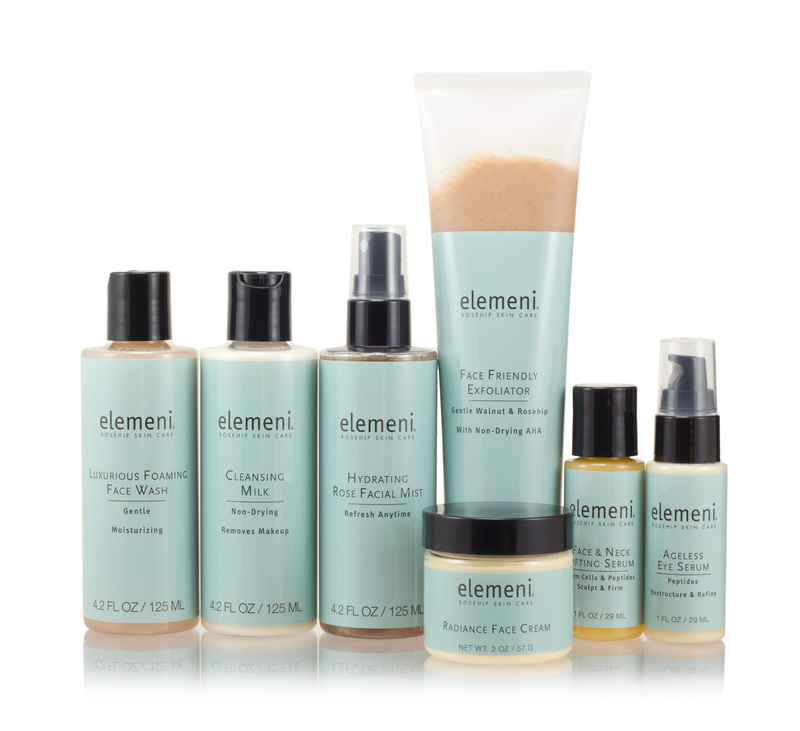 Mandarin Peel Oil - a valuable source of antioxidants to improve radiance with a sweet and calming aroma. 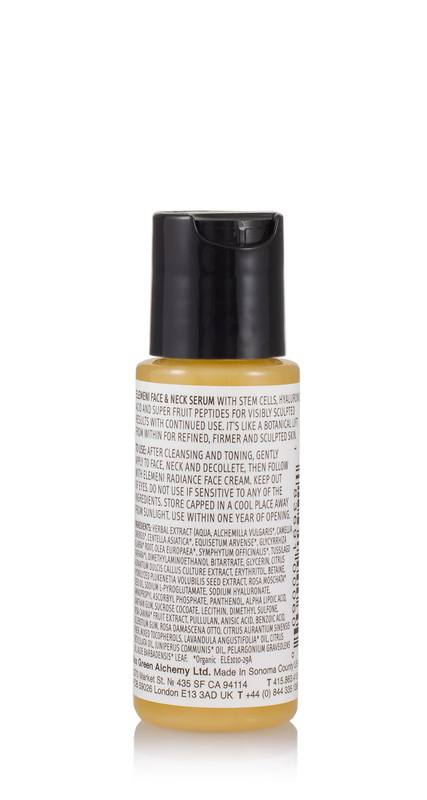 After cleansing and toning, gently apply to face, neck and decollete. Keep out of eyes. Do not use if sensitive to any of the ingredients. To maintain freshness, store capped in a cool place away from sunlight. Use within one year of opening.